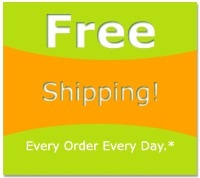 Our roller shades featured here are all from materials rated by the manufacturer to be approved for outdoor use. 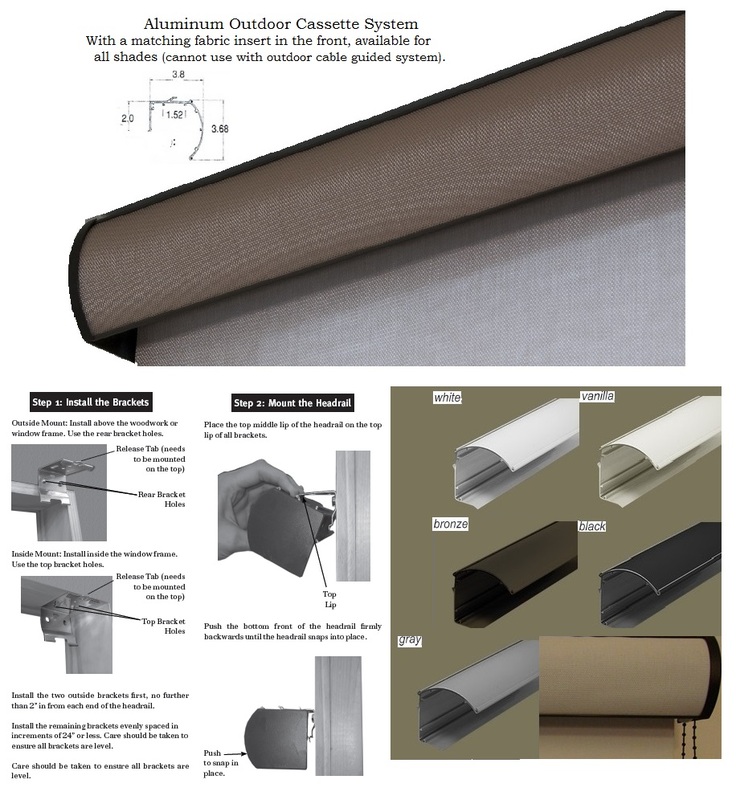 All of our Outdoors roller shades are available with a Cable-Guided Outdoor system for an additional $68 per roller shade (up to 132x108 long). 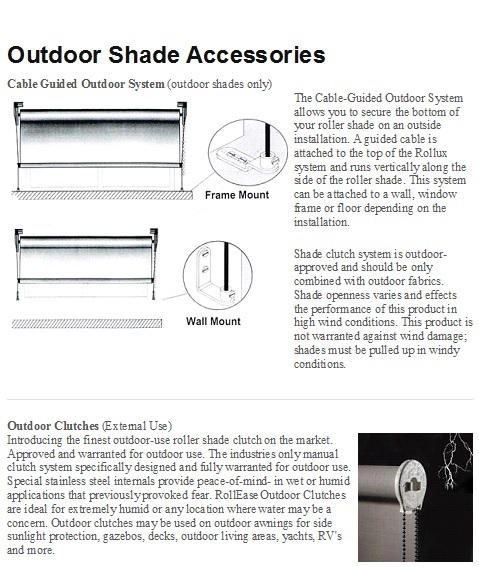 The cable-guided outdoor system allows you to secure the bottom of your roller shade on an outdoor installation. 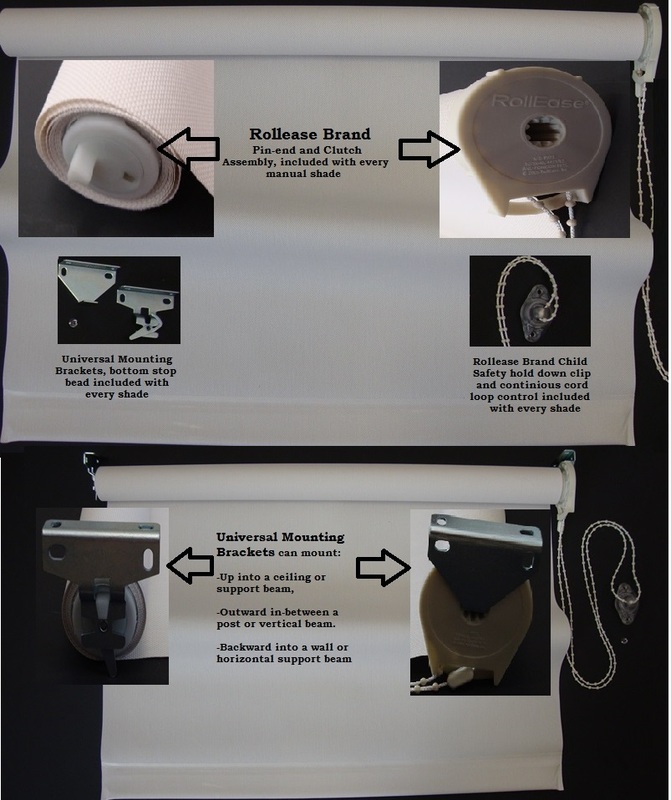 A guided cable is attached to the top of the shade brackets and runs vertically along the sides of the roller shade. This system can be attached to a wall, window frame or floor depending on the installation. **Shade openness varies and effects the performance of this system in high wind conditions. 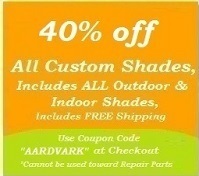 This product is not warranted against wind damage; shades must be rolled up in windy conditions.